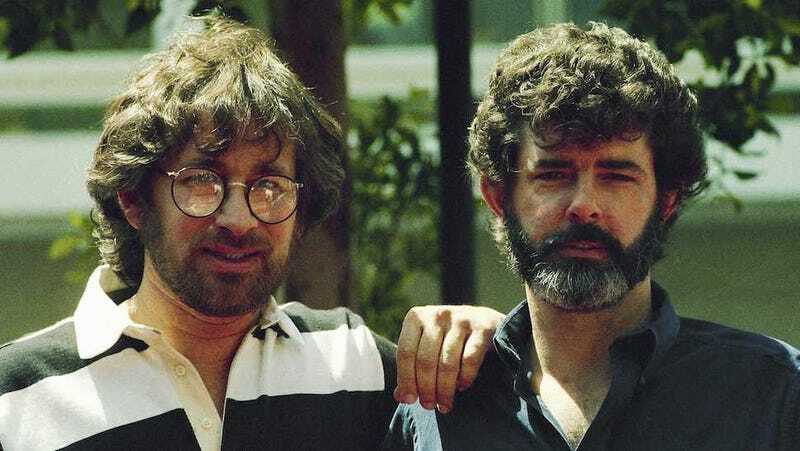 Star Wars has made creator George Lucas a lot of money over the year. But in 1977, he made a bet with fellow director Steven Spielberg that has wound up costing him over $40,00,000 so far, and all of it going directly into Spielberg's pocket. The bet was made when Lucas was visiting Spielberg on the set of Close Encounters of the Third Kind in 1977, before Star Wars: A New Hope came out. Suddenly, the two of them were arguing which movie would do better — but they were arguing for each other's films. Lucas said Close Encounters would make more money, while Spielberg insisted on Star Wars. So the bet was made: Each of them would give the other 2.5% of their respective stakes in their own film, if it was the most successful. And even though Close Encounters made a whopping $303 million, Star Wars trounced it, making $775 worldwide in 1977 alone. Since then, Spielberg has continued to get his share from theatrical re-releases, home video sales, and more; Yahoo estimates he's made $40 million so far. Don't feel too bad for Lucas, though — seeing as he sold Lucasfilm and the Star Wars rights to Disney for $4 billion, he's not exactly down to eating ramen.